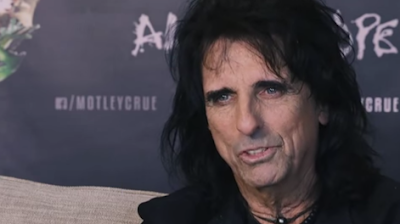 MetalRockNews: Alice Cooper: "Lemmy was truly a one-of-a-kind in rock ‘n’ roll"
Alice Cooper: "Lemmy was truly a one-of-a-kind in rock ‘n’ roll"
Alice Cooper posted a message about Motorhead's Lemmy Kilmister's death. You can read the message below. "Lemmy was truly a one-of-a-kind in rock ‘n’ roll. He was innovative, true to his art and continually relevant even though he never cared about being relevant. He was always creating and redefining hard rock and the role of bass within it. Off stage he was a gem. I can’t think of anyone who didn’t adore Lemmy. He was such an original character in Rock, and I will truly miss seeing him out on the road. My condolences to his family, his band mates and rock fans everywhere. This loss is great."